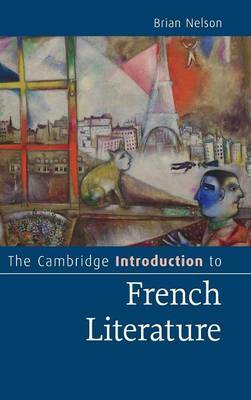 In this highly accessible introduction, Brian Nelson provides an overview of French literature - its themes and forms, traditions and transformations - from the Middle Ages to the present. Major writers, including Francophone authors writing from areas other than France, are discussed chronologically in the context of their times, to provide a sense of the development of the French literary tradition and the strengths of some of the most influential writers within it. Nelson offers close readings of exemplary passages from key works, presented in English translation and with the original French. The exploration of the work of important writers, including Villon, Racine, Molière, Voltaire, Balzac, Flaubert, Zola, Proust, Sartre and Beckett, highlights the richness and diversity of French literature.